The Boston Marathon is one of the world’s premier athletic events. Set in the heart of one of the nation’s most historic cities, the marathon routinely draws tens of thousands of elite runners from the world over every April to compete. While there are probably a couple dozen people who actually run the marathon to try to win prize money, the vast majority of participants have other, usually non-athletic reasons for running. Take Traci Komorek, Laura Jones and JR Linden, for example. 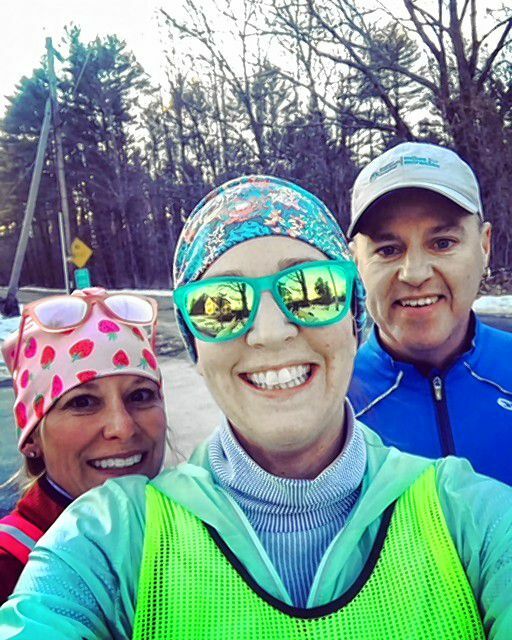 Komorek, owner of Fresh Roots Nutrition in Concord; Jones, owner of Whole Health Concord; and Linden, with Easter Seals, are all heading down to Boston to run for Boston Children’s Hospital this year. For Linden, this will be marathon No. 4. For the ladies, this will be their first marathon ever – and what a marathon to get your start in! Since Boston Children’s Hospital does so much work – much of which is astronomically costly to perform – the trio is looking for help raising as much money as they can, and the Grappone Conference Center has stepped in to help. On Feb. 16, the conference center will host an event called Rockin’ to Boston, a fundraiser dinner to support the mission of the three local runners. It will be a night of dancing to the tunes of the Club Soda Band, enjoying some cocktails and having a nice dinner with friends. The best part is that all of the money raised will go toward the runners’ fundraising. “Given what I do, I just couldn’t turn down the opportunity to raise this kind of money for such a great cause,” said Komorek, whose job at Fresh Roots Nutrition includes nutrition counseling for families and individuals for a host of reasons, including athletic or autoimmune related. Komorek’s story is unique in that she’s pretty new to running in general – she only started doing it about a year ago, she said, and she has yet to log a marathon. That’s not something you usually find with runners at the Boston Marathon, but Komorek isn’t too worried. 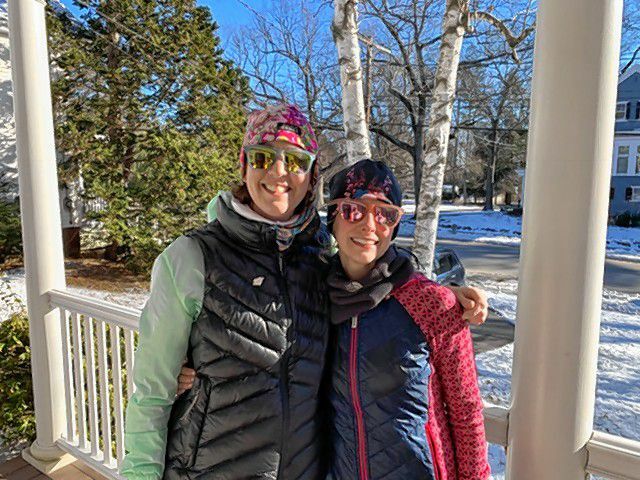 Komorek and Linden will be running with the Credit Unions Kids at Heart Team, a smaller subgroup of the larger Boston Children’s Hospital team, which Komorek estimates has more than 100 members. The Kids at Heart Team is raising money specifically for research into medical conditions including pediatric brain cancer, Sturge Weber Syndrome, epilepsy, cerebral palsy and moyamoya. Jones will run with the larger Boston Children’s Hospital group. At the Rockin’ to Boston event, the atmosphere will be fun and light, with the Club Soda Band providing music all night. The evening will begin with a cocktail hour from 6 to 7 p.m. (the cash bar will remain open for the rest of the night, too), followed by dinner at 7. The remainder of the evening will be spent, presumably, dancing, mingling and generally having a good time. There will also be a silent auction and raffles throughout the night, with prizes such as Bruins tickets up for grabs. Tickets – available at dancersatheart5678.org – are $75 per person, which includes dinner and a glass of champagne. A group rate of $650 will be offered to groups of 10, providing a discount of $10 per person. Groups of 10 will get their own table, while everyone else will seat themselves wherever they want. A few dinner options will be available to choose from on the ticketing website. 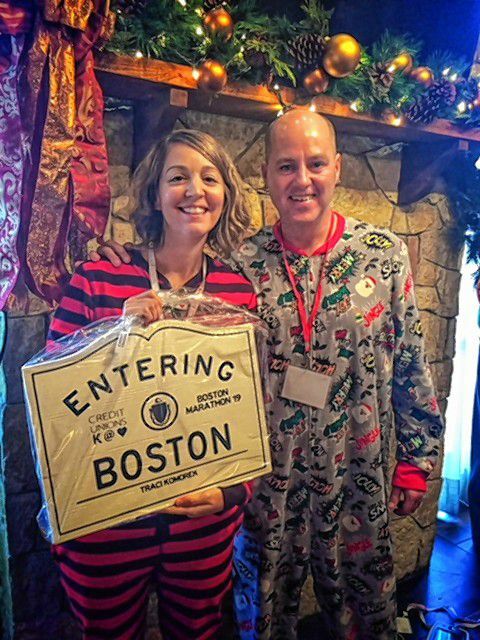 While raising money to help kids at Boston Children’s Hospital is something anybody can and should do, this particular event is geared toward adults – find a sitter for the night and make a fun date out of it. Ticket sales will shut down Feb. 11 – as in the upcoming Monday – so don’t wait around on this one. And bring a friend or two. “It takes a community, that’s for sure,” Komorek said. I am so proud of my daughter, Traci for being a part of such a wonderful cause! I will be traveling to New Hampshire to support this event in Boston, and I hope others will join in on the fun!